Nick will be available during the event to answer any queries and liaise with the MMCC on behalf of the riders. Nick started his career at the Manx in 1975 where he raced until 1983 before moving to the TT for a further 18 years, during which time he was the Riders Liaison Officer. His career highlight's include winning the 1993 Formula 1 TT. "The Club is delighted to have Nick representing the riders. 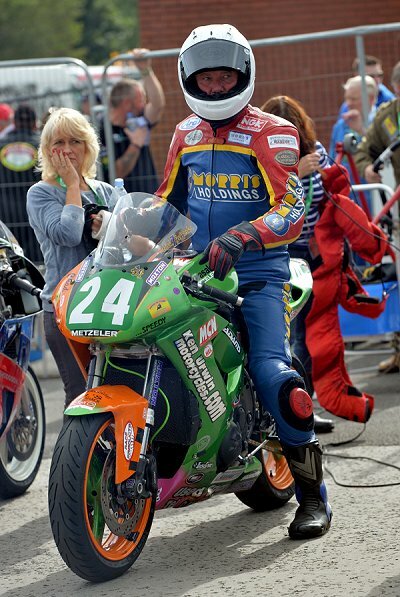 We are sure he will pass on his vast knowledge of racing on the Mountain Course to all the riders and is very well qualified to understand any problems and queries that will arise during the event."